Foremost, I am an OCD awareness, treatment and long-term recovery: advocate, spokesperson, consultant, supporter, and educator. I am the mother and sole provider of care for an amazingly smart, witty, charismatic, 13 year old daughter, Alexandra, who was severely debilitated by OCD. The apex of Alexandra’s journey to simply be like ‘normal’ people is marked by her recent, astonishing ascent from the subterranean bowels of OCD Hell she has inhabited for as long as she can remember, to becoming freed to, once again, walk alongside and among the “land of the living.” Over these past nine years and all the realizations I’ve made regarding the mental health system, its profession and providers, society’s stigmas, discrimination, accusations, insurance debacles and all else involved, I’ve been making belief, someone, someday will help my progressively declining child who’s Y-BOCS consistently remained between 34 and 40 for the past 6 whole years! Until this past April, she and I have been on an endless quest for proper treatment which would help to alleviate and, ultimately, release her from the incomprehensibly horrific, all-consuming, self-harming, isolated purgatory from which she was ever-increasingly, perpetually trapped by her obsessions and rituals. Earlier this year, our seemingly last hope for help was to be an extended stay at Rogers Memorial but after months of fighting with her 2 insurance companies over denying coverage for admittance, I was at my wits end, again! 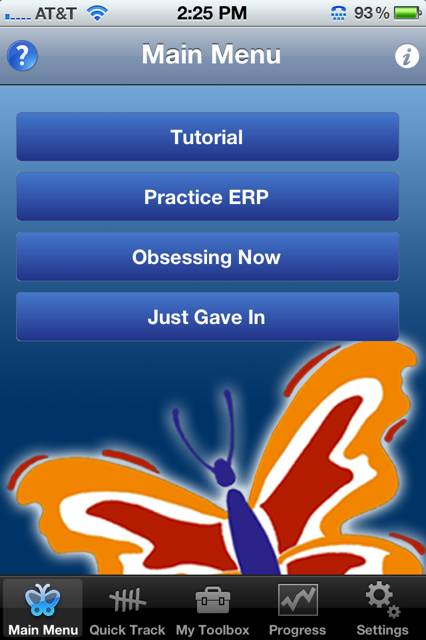 Having immersed myself into the global OCD community for many years seeking help, advice, guidance, etc., I came across a post seeking beta study participants using an app for ERP. Immediately, I applied for my daughter. The director/doctor was very hesitant as Alex’s OCD was so extreme. However, with a lot of persuasion, a remarkably wise and kind doctor, as well as, an enormous ‘leap of faith,’ we began using the app from LiveOCDFree. She has been diligently working with the Live OCD Free app for the past 3 months. During this short time, with much hard work and determination, she has achieved remarkable progress against her, previously omnipresent, OCD symptoms! Her OCD had forced her into seclusion, isolation, and painful 4+ hour ritualistic decontamination showers and had even left her unable to touch or breathe the air of those she loves. Remarkably, Alexandra can now walk anywhere and touch almost everything freely. She can hug and spend time with loved-ones and friends without decontaminating. Ali’s showers are now only 25-minutes and do not involve any painful rituals. She continues to work to conquer her remaining OCD issues and anticipates, in time, a full recovery from the OCD which has plagued her since the age of four. Alexandra, and I, want nothing more than to lead a revolution against this insidious, debilitating monster we call OCD! To help others see how much hope there is with proper treatment, she and I are documenting her OCD recovery process and history through Facebook.com/ LiveOCDFree, Twitter: LiveOCDFree, YouTube.com/LiveOCDFree, OCDKids.wordpress.com and LiveOCDFree.com. Please, join and /or follow her journey so you can be aware of OCD, too. I am the mother of an amazingly kind, witty, charismatic, 13-year old daughter, Alexandra. Until recently, Alexandra was plagued, for years, by extreme, debilitating OCD. As these years passed, slowly and painfully, she, and I, have endured innumerable manifestations of this horrific illness. She had become convinced, after nine years of inept treatments and constant suffering, she’d never be freed to, once again, walk amongst the “land of the living” but be destined to forever endure a lifeless, fear-riddled, solitary existence. The apex of Alexandra’s extraordinary journey seeking freedom from her ubiquitous obsessions, compulsions and rituals is marked by her recent, hard earned, astonishing ascent from the subterranean bowels of the OCD Hell she’s inhabited for as long as she can remember to being catapulted back into the light of day to reap the rewards of a new way of living: one devoid of terror and filled with opportunities. Little did we know Alexandra’s road to recovery would begin with the help of a relatively new form of technology known as an “app” and the aid of a highly specialized OCD specialist, hundreds of miles away? Our journey began on an evening like any other. Shortly before turning 4, I read Alexandra a bedtime story and off to sleep she went. To my astonishment, overnight, upon her awakening, she was different. Different as she began endlessly, verbally obsessing over peculiar topics. I immediately scheduled her with a pediatrician and exclaimed upon arrival, “I think Alex is having compulsions!” The freshly graduated MD was quick to correct my inaccuracy as ‘she was experiencing obsessions not compulsions.’ I, like most of the general population, had very little knowledge of Obsessive Compulsive Disorder. I vaguely recalled seeing Elizabeth McIngvale on Dr. Phil years before, but that was really the extent of my knowledge about OCD. Unable to find her help at such a young age, Alexandra’s obsessions and compulsive rituals worsened.Trying to keep up as they switched, morphed, left and returned so fast, I felt as though my mind would simply implode! Her symptoms were ever-present, unless someone else was watching. Everything had to be “equal.” All furnishings were to be squared off against the walls with no spaces remaining. It could take her 20 minutes to walk across our 8’x10’ patterned living-room rug. Alexandra also struggled with bouts of Trichotillomania, skin-picking, hoarding, and magical or superstitious thinking which caused her to do any number of repetitive behaviors. At one point, she developed an intense fear of blood or anything related to blood (knives, guns, people’s tattoos, pictures on t-shirts, CD/DVD cover pictures, TV shows and commercials, etc). Even the spoken word, sight, or anything colored red would catapult her anxiety into a state of panic. Not understanding how best to help her and not seeing any other options, I hid all the knives in the house. I cut her food when she wasn’t looking and basically tried to do whatever possible to protect her from the things which would trigger her crippling anxiety. Throughout the following years, Alexandra received several evaluations and extended ‘therapies’ but her condition continued to steadily decline. At only 7, Alexandra was even admitted into a well known pediatric psych unit for treatment but it, too, proved unsuccessful. Her formal diagnosis of OCD wasn’t until she was 7 and by 8, she was diagnosed with PANDAS. I wrote the following poem entitled “Mommy’s Cry’s,” venting the absolute frustration, sense of hopelessness and helplessness I felt being unable to stop my child’s merciless suffering. Can’t anyone help us, please? For surely I will die! And all that’s left are the silent screams! Where has this ever-present nightmare led? All MUST be Equal or Odd! How could this not make you cry? By the age of 9, Alexandra became convinced a neighbor child was deathly contaminated. As these fears quickly generalized, her almost 4-year battle with full-blown contamination fears began. Ultimately, the pinnacle of Alexandra’s contamination fears became centered on her school. Until recently, her decontamination rituals upon returning from school were seemingly endless. Her showers took 4+ hours and caused her physical, psychological and emotional agony and anguish. She had to scrub under her fingernails until her fingers were raw where there once were nail beds. She washed her eyes and nasal passages with soap to the point of blurry vision, burning sinuses, and a loss of smell. She violently brushed her teeth resulting in permanent enamel loss. With Alexandra’s insistence, I decided transferring her to a new school could possibly eliminate these dangerous, self-harming rituals. Although this strategy offered some temporary relief, her symptoms quickly worsened again. Having been immersed in the OCD community and desperately seeking help, I learned of the Live OCD Free app. Still in beta testing, Live OCD Free was accepting applications for research participants. I quickly contacted Dr. Mulcahy regarding the possibility of Alexandra becoming a research participant. After describing Alexandra’s symptoms to Dr. Mulcahy, she felt intensive treatment was advisable. Given the severity of her symptoms, she was very reluctant for Alexandra to rely solely on the app for treatment. After explaining, these intensive treatment options were considered “out of network” with her insurance policies refusing any coverage compounded by my inability to afford specialized treatment with a qualified professional or at a residential program, she agreed to get us started using the app. At this point, we all took an enormous leap of faith, hoping the app would help. After 3 months of periodic Skype sessions between Dr. Mulcahy and Alexandra and consistently (although highly reluctantly at times) doing her ERP assignments, I am ecstatic to report, she is now able to move about our home, touching everything freely. Unable to enter her bedroom for months before the app, she is now sleeping in her own bed. She is able to hug friends and family who were previously “untouchable.” Alex can, now, also ride in the car (which has traveled back and forth to school) without showering.Additionally, her showers now take only 25 minutes…with no ritualistic behaviors. Her sense of smell has returned and her eyes are, no longer, bleary. In short, in exchange for hard work doing ERP, her life is being returned. Alexandra’s progress is truly astounding, and I credit it to our, finally, being provided a systematic approach to strategically attack Alexandra’s contamination fears through exposure and response prevention. With the help of the Live OCD Free app, Alexandra has been able to be very independent with her treatment, taking more control over her OCD than I ever anticipated. The app has also allowed us to work in a very efficient manner, using only periodic check-ins with Dr. Mulcahy via Skype. Although Alexandra still has work ahead to regain complete freedom from her OCD, we are confident she will make a full recovery. Alexandra and I will be forever grateful to the Live OCD Free app and Dr. Mulcahy for guiding us toward a life of hope and freedom. I believe destiny and a true leap of fate are responsible for Alexandra’s remarkable progress. Seeing for myself how lives can be transformed with proper treatment, I am now considering a career change into the field of OCD therapy. We think Alexandra’s story offers much hope for others who are struggling and may, hopefully, play a small role in ending OCD’s tyrannical rein. For this reason, s he wishes to share her OCD journey with others. 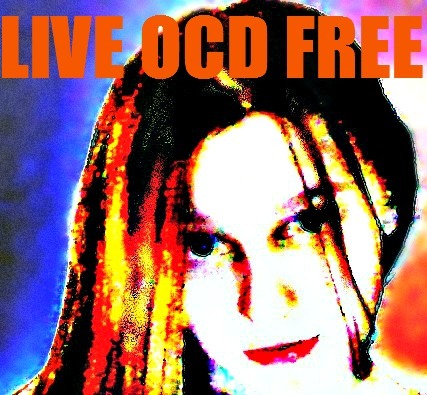 If you are looking for inspiration, please watch Alexandra’s first video chronicling her journey toward OCD freedom at WWW.LiveOCDFree.com and YouTube.com/LiveOCDFree. We sincerely hope you or anyone you know who is struggling with OCD will join Alexandra on her quest to live OCD free. PLEASE: DO NOT LET ANOTHER CHILD SUFFER AS HAS MY DAUGHTER DUE TO PANDAS/PANS IGNORANCE! With support from leading Harvard Medical School psychiatrist, Dr. Michael Jenike, countless parents, advocates and members of the medical community with the International OCD Foundation (IOCDF) NEEDS to educate parents, physicians, school nurses, therapist’s, psychiatrist’s, etc. about infections which can trigger mental illnesses like Obsessive Compulsive Disorder (OCD) and much more. PANDAS and PANS may result from untreated infections such as Strep, Lyme, Mycoplasma, H1N1 and Mono. Our bodies immune system is a complex cascade of mechanism’s to specifically protect against infection. One major component of this cascade is the production of antibodies which ‘attack’ invading infectious agents. However, in PANS, formerly PANDAS, these antibodies can sometimes mistakenly attack a specific area of the brain, in addition to the invading organism. The area of the brain which becomes attacked is responsible for regulation of emotions, behaviors, physical movements, etc. The result of this mistaken attack is often manifested by sudden, severe onset of OCD like behavior’s and/or other mental illnesses such as eating disorders, tics, etc.. If anyone recognizes these symptoms developing seemingly overnight, along with a glaring change in the child’s personality and/or behavior, they should immediately have their child tested for the aforementioned causation illnesses. If positive, any active infections MUST be immediately treated with antibiotics in order to counteract these symptoms resulting in PANS. If tests are negative, perhaps, titer levels need be assessed. Dr. Michael Jenike, of the Harvard Medical School and Chair of the International OCD Foundation Scientific Advisory Board, is featured in a separate video message that targets fellow physicians. Unfortunately, due to a lack of awareness, many doctors around the country do not know how to properly treat children exhibiting PANS/PANDAS symptoms. Dr. Jenike’s video PSA message speaks to doctors nationwide, and urges them to learn more about the disorder and how to effectively treat it. “Often a course of antibiotics can eliminate the psychiatric symptoms and may save a child from lifelong mental illness,” says Jenike. Alexandra, Michael and I had such an amazing experience attending the convention in Chicago! I learned so much, my head is still spinning, thinking, analyzing, empathizing and planning for next years Annual IOCDF Convention in Atlanta! After corresponding for so long over the internet, Janet and I were FINALLY able to meet during the convention. I was honored to be in the company of such a highly respected and dedicated OCD advocate and fellow adoring mother to an OCD sufferer. She, like I, are committed to raising OCD awareness the world over, one step at a time! Well, I arrived home after midnight last night, totally exhausted, my mind full of so much new information. My first International OCD Conference was a resounding success, and I hope to share some of what I’ve learned in some upcoming posts. The sessions I chose to attend ranged from various introductory talks regarding different aspects of OCD to advanced ones geared toward therapists and researchers. I took something valuable away from each seminar. It was outside of these talks, however, that I learned the most. Connecting with sufferers and their loved ones, and hearing individual stories as opposed to theories, is what impacted me most. Stories of torment, heartache and loss, as well as those filled with hope, and even humor, touched me deeply. Though there were people there from all walks of life, we shared a common bond; the fight against obsessive-compulsive disorder. OCD Awareness Week 2012 will be October 8-14. The IOCDF has included ways you can help spread awareness about OCD. Consider donating your facebook status or starting an email campaign. Check out the link below for more ways you can help support OCD Awareness Week! together we can beat OCD. International OCD (Obsessive Compulsive Disorder) Foundation – OCD Awareness Week – Dare To Believe Contest. My 13 year old daughter, Alexandra, has been diligently working with the Live OCD Free app for the past 3 months. During this short time, with much work and determination, she has achieved remarkable progress against her, previously omnipresent, OCD symptoms! Her OCD had forced her into seclusion, isolation, and painful 4+ hour ritualistic decontamination showers and had even left her unable to touch those she loves. Remarkably, Alexandra can now walk anywhere and touch almost everything freely. She can hug and spend time with loved-ones and friends without decontaminating. Ali’s showers are now only 25-minutes and do not involve any painful rituals. She continues to work to conquer her remaining OCD issues and anticipates, in time, a full recovery from the OCD which has plagued her since the age of four. Alexandra wants nothing more than to lead a revolution against this insidious, debilitating monster we call OCD! To help others see how much hope there is with proper treatment, Alex is documenting her progression through recovery. Live OCD Free is a new, revolutionary mobile therapy application which brings Exposure and Response Prevention into your own hands or the hands of your patients in a new and highly effective way. Currently, the app is available for iPhones, iPod Touch and iTablets and will next be launched into the Android market. The Live OCD Free app makes homework easier, holds patients accountable, and enables therapists to track and analyze their patient’s progress. The app can be purchased at the iTunes store for a one-time investment and more can be learned on the LiveOCDFree.com website. Live OCD Free is ideally suited to help both individuals (adults and children) and professionals alike be more efficient and achieve faster results. Live OCD Free helps individuals and therapists to be more efficient by assisting the OCD sufferer in designing a uniquely personalized Exposure and Response Prevention treatment program. If the OCD sufferer is working with a therapist, all the data stored in the app can be easily emailed to the therapist thus enabling an even more fine-tuned treatment plan. Live OCD Free helps children and adults gradually face their fears by creating a series of exercises or challenges to practice on their iPhones, iPod Touch and iTablets. These exercises empower users to resist the urge to give in to compulsions, tackle excessive or intrusive thoughts in a manageable way, and reduce anxiety in just a short period of time. For Children, there is the Live OCD Free Worry Wizard. It is a fun and empowering game with the goal of achieving victory over the “Worry Wizard.” It contains OCD specific music, graphics, and inspirational quotes from other children with OCD. Live OCD Free is now available in the iTunes store for download on your iPhone, iPod Touch, and the iPad and has been developed by Dr. Kristen Mulcahy, Director of the Cognitive Behavioral Institute in Falmouth, Mass. A tutorial with narration and music, outlining the basic functionality for the Kids version of the Live OCD Free App. A tutorial with narration and music, outlining the basic functionality for the Adult version of the Live OCD Free App. *Promotional Code for Therapists: Interested in reviewing or previewing Live OCD Free? A limited number of applications are available for free download. In closing, this is the most exciting new option for OCD sufferers and therapists alike. The peer reviews from our most renowned OCD experts internationally are universally impressed with this app! My daughter is involved with this application and its developer Dr. Kristen Mulcahy and will be speaking for and representing the app at the International OCD Foundations Annual Meeting in Chicago in July! Is this not amazing? My daughter’s suffering has been so severe for so long and now she will be dedicating her treatment to this application on her iPhone, serving as its official spokesperson, conducting interviews and will be video blogging on the LiveOCDFree.com website for others to follow her lead! Individuals who suffer from obsessive-compulsive disorder (OCD) are often plagued by incessant self-talk that leads to compulsive checking. Although the thoughts may be slight — such as checking to be sure the gas stove is turned off — individuals can become debilitated as they become locked in a vicious cycle of fear and doubt. Canadian researchers at Concordia University are now testing a novel approach to treatment for compulsive checking that they believe could mean vast improvements in the quality of life of countless individuals. “For years, the best way to treat compulsive checking in OCD sufferers has been through a difficult therapeutic process known as exposure and response prevention, or ERP,” said Dr. Adam Radomsky, a professor in the Department of Psychology. “By facing their worst fears repeatedly until their anxiety declines, patients learn to diffuse their hypervigilant checking responses — in theory.” In practice, however, this type of treatment often results in patients quickly discontinuing the therapy. The new treatment intervention builds on previous research which found that individuals with OCD who compulsively checked certain aspects of their surroundings did so because of an inflated sense of perceived responsibility. “If I don’t turn off the stove, the house will burn down,” is a plausible thought that can quickly devolve into an obsessive cycle of checking and re-checking, and can even result in an inability to leave the house. Yet, as shown by Radomsky’s previous research, performing these seemingly senseless repetitions actually results in a loss of confidence. Radomsky believes that modifying the patient’s inflated feelings of personal responsibility and reducing predictions of seriousness of anticipated misfortunes, can turn the cycle around. By placing the emphasis on how people think rather than on what they do, the intervention targets people’s faulty beliefs about how responsible they think they are, about their own memories, and about the dangers that they perceive. Treatment milestones include normalizing inflated responsibility — through restoring confidence in memory — all the way to reducing self-doubt and guilt. The goal of the intervention is to improve the way in which individuals perceive themselves, and the world around them. Developed in the lab, Radomsky’s research is set to show real promise in the field.